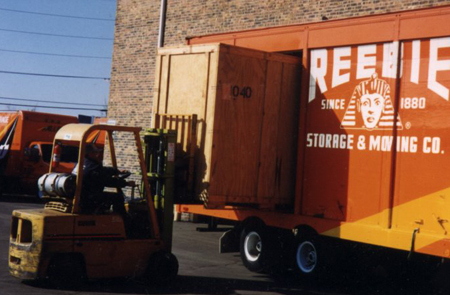 1-Touch Storage Advantage - Storage Services | Reebie Storage and Moving Co.
As part of our Chicago storage services, Reebie offers the revolutionary one-touch vault system. 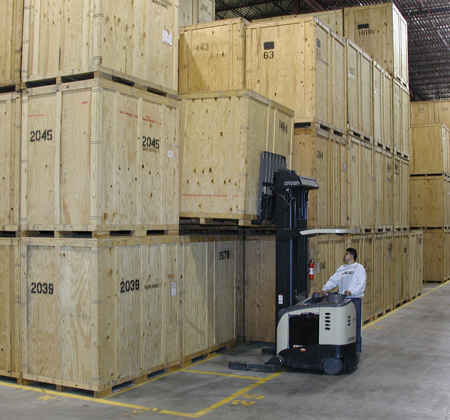 Our one-touch vault system allows your belongings to be stored in the safest manner possible. Instead of handling your belongings several times when putting them into storage, Reebie’s innovative “one-touch” vault system eliminates unnecessary handling and greatly reduces the risk of loss or damage. Your items are carefully removed from your residence or business. They are securely loaded into the vaults which are sealed under you supervision. Your shipment is then driven to our warehouse. It is then fork lifted into 5 million cubic feet of secure, climate controlled storage space. When you’re ready for the delivery of your property, you’ll find it just as you left it: undamaged and undisturbed. Take advantage of the Reebie 1-Touch Storage Advantage! Call us for more information or to schedule your storage.